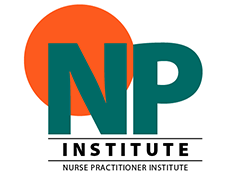 RNAO is thrilled to announce the inaugural Nurse Practitioner Institute, taking place March 19-21, 2019 at the White Oaks Resort in Niagara-on-the-Lake. The institute is a two-and-a-half day in-residence experience that includes a deep dive into issues relevant to NPs, networking with NP colleagues in all sectors from across the province and hearing engaging and exciting presentations from NPs and top health system and policy leaders. Speakers confirmed to attend include Helen Angus, deputy minister for the Ministry of Health and Long-Term Care; Michelle Acorn, provincial chief nursing officer for MOHLTC; Doris Grinspun, RNAO's CEO; Larissa Gadsby and Mae Katt, Nurse Practitioner Interest Group (NPIG) co-chairs; and Louise Kaplan, advanced registered nurse practitioner at the Washington State Nurses Association Hall of Fame. For the full list of speakers and the agenda, please go here. Register online today. Early bird pricing has been extended to Feb. 1, 2019.